NVIDIA GeForce Experience is the companion application to your GeForce GTX graphics card. It keeps your drivers up to date, automatically optimizes your game settings, and gives you the easiest way to share your greatest gaming moments with friends, using the GeForce Experience in-game overlay that enables you to access GPU-accelerated video recording, screenshot capture, broadcasting, and cooperative gameplay capabilities. In order to enhance your gameplay, GeForce Experience connects you to NVIDIA’s cloud datacenter to download optimal game settings tailored to your PC based on your CPU, GPU, and monitor. Optimal settings maximize image quality while maintaining great performance so you get the best experience. 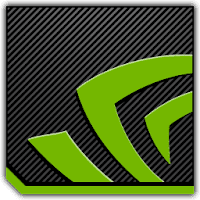 Disclaimer: Direct downloads for the lastest version of NVIDIA GeForce Experience 3.9.0.61 are provided by the official software's author, we can't guarantee safety, availability or download speed. Moreover, we don't and we won't provide any pirated/illegal versions or tools. We recommend you to avoid it as these methods can harm your device. If you like the software, buy it to support the developers. (We provide software discounts for many worldwide brands).